Let’s start with some back story. 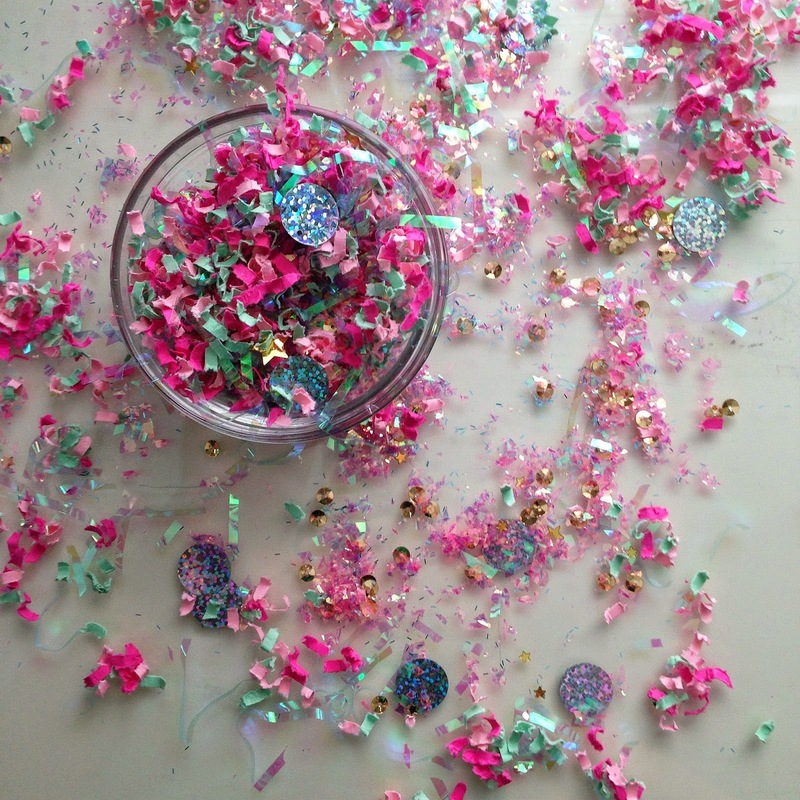 I love confetti! Ok, that is a gross understatement. Confetti and I are in a long term relationship and currently shopping for rings. I have put it in packages and snail mail, decorated tables and occasionally myself with it, I enjoy tossing it and trying to come up with crafts to incorporate it in, but I have never DIYed it. 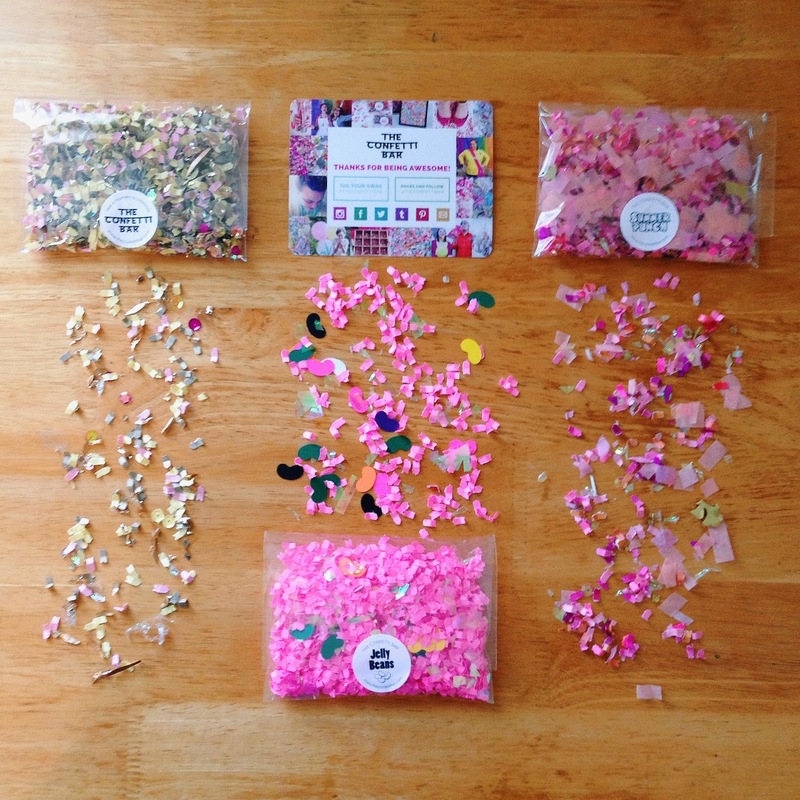 That is until recently, inspired by the mystery confetti I purchased from the Confetti Bar, I created my own custom confetti! 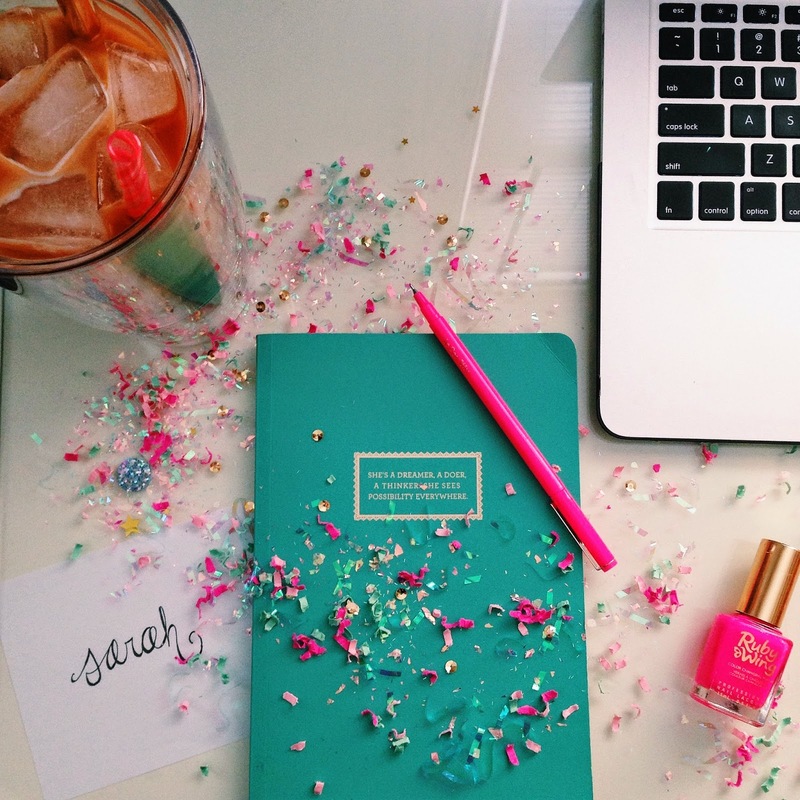 Mimicking the color palette of my blog combined with my penchant for all things shiny and glitter, it turned out fabulous!! 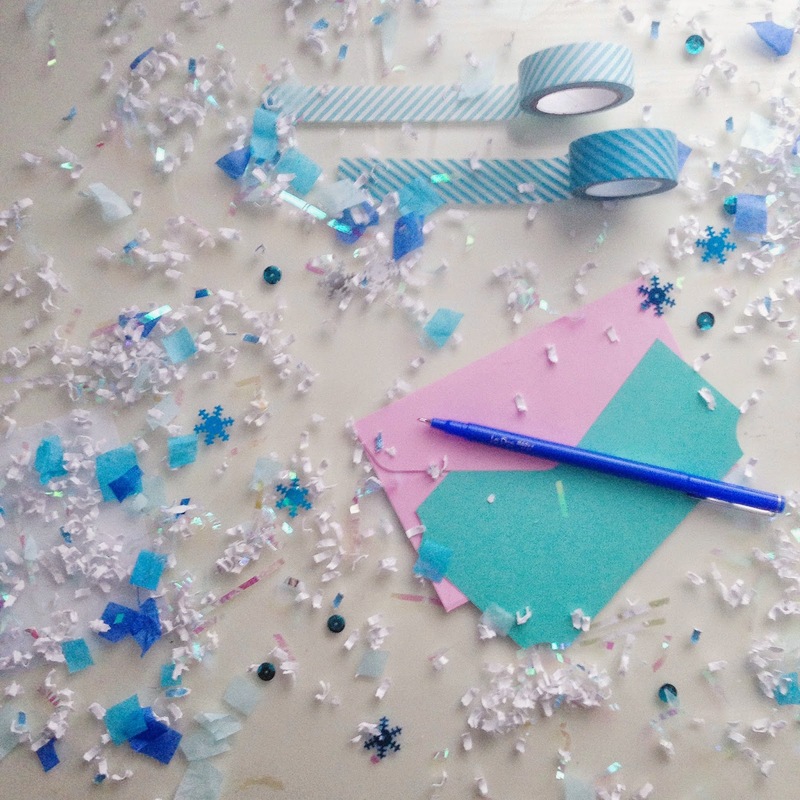 Shred the card stock using your paper shredder and using your scissors cut the gift shred into small pieces. Toss everything in your tupperware container and mix together. 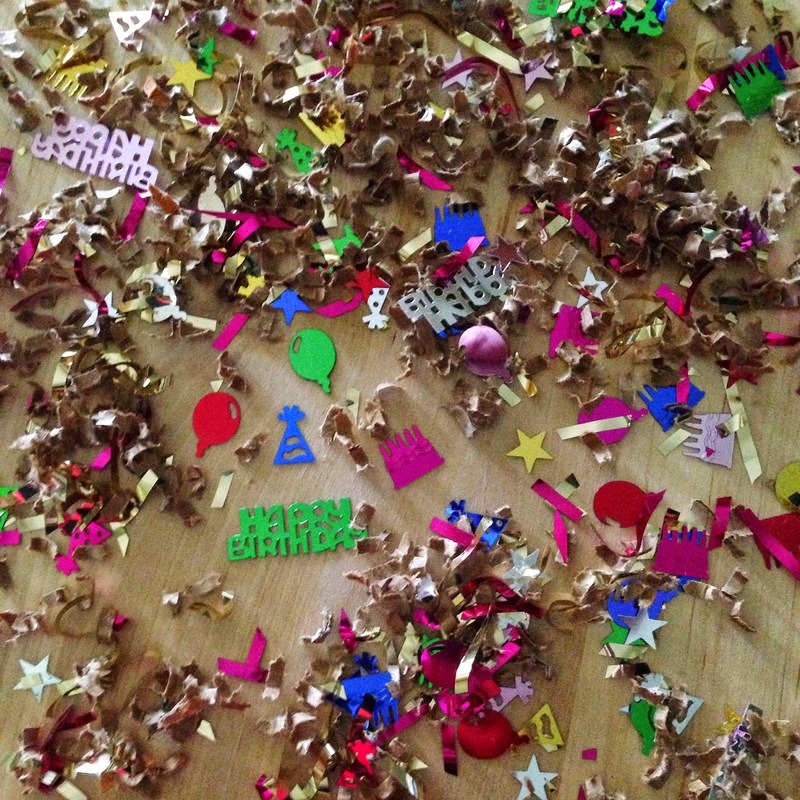 After my initial batch of DIY confetti I became hooked! Once you find a mix of materials you like it is super easy to customize them to any party or color palette, here are all the mixes I’ve tossed together, along with the sassy names I gave them. This turned out so beautiful! 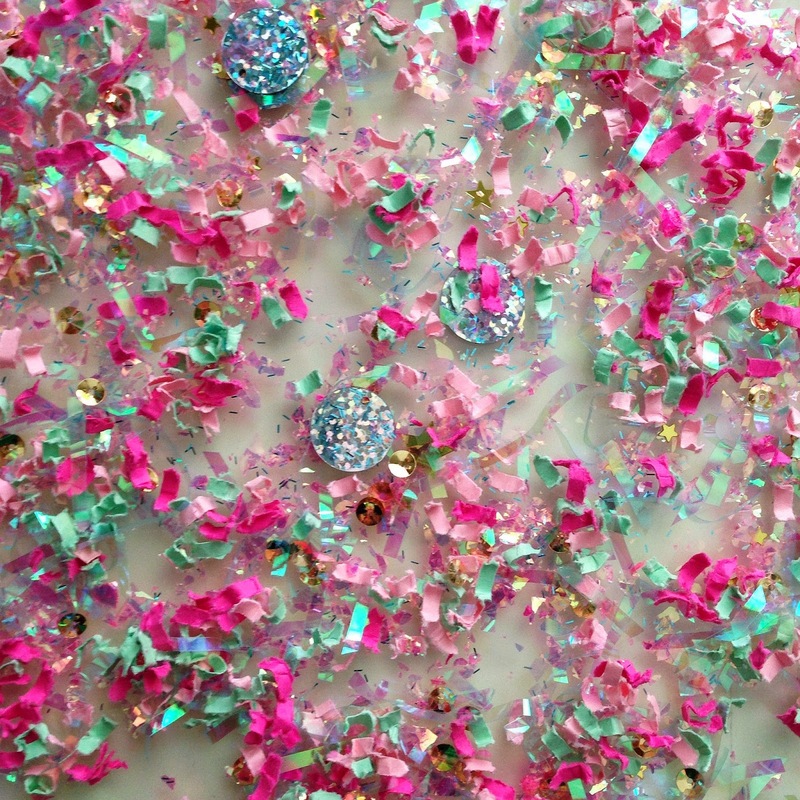 I had in my mind that I wanted guests to throw confetti at my wedding and I had never thought of using a paper shredder! You are a genius and this will definitely be used at my wedding!